The 2019 Catalyst Award recognized Schneider Electric India’s achievements in attracting and retaining women. This recognition draws from our rigorous recruitment and retention strategy, our re-engagement of women after a career break, men’s engagement as allies, and inclusive practices like flexible work arrangements. Women’s representation in India across all levels increased to 20.8% in 2018 from 15.9% in 2015. 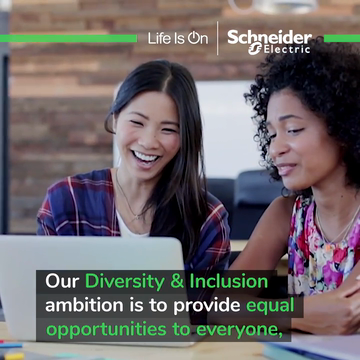 Globally, Schneider Electric has been recognized by the Bloomberg Gender-Equality Index for the second year in a row. Gender equality and inclusion benefit both our company’s culture and financial performance, and society in general.